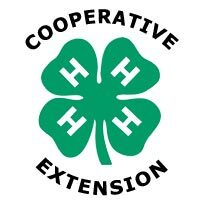 The cooperative extension service is designed to help people use research based knowledge to improve their land. Administered through thousands of county extension offices, extension brings land-grant expertise to the most local of levels in affiliation with the state's designated land-grant universities. All universities engage in research and teaching, but the nation's more than 100 land-grant colleges and universities, have a third critical mission—extension. “Extension” means “reaching out,” and—along with teaching and research—land-grant institutions “extend” their resources, solving public needs with college or university resources through non-formal, non-credit programs. These programs are largely administered through thousands of county and regional extension offices, which bring land-grant expertise to the most local of levels. Congress created the extension system nearly a century ago to address exclusively rural, agricultural issues. With its unprecedented reach—with an office in or near most of the nation’s approximately 3,000 counties—extension agents help farmers grow crops, homeowners plan and maintain their homes, and children learn skills to become tomorrow’s leaders. 4-H Youth Development—cultivates important life skills in youth that build character and assist them in making appropriate life and career choices. At-risk youth participate in school retention and enrichment programs. Youth learn science, math, social skills, and much more, through hands-on projects and activities. Agriculture—research and educational programs help individuals learn new ways to produce income through alternative enterprises, improved marketing strategies, and management skills and help farmers and ranchers improve productivity through resource management, controlling crop pests, soil testing, livestock production practices, and marketing. Leadership Development—trains extension professionals and volunteers to deliver programs in gardening, health and safety, family and consumer issues, and 4-H youth development and serve in leadership roles in the community. Natural Resources—teaches landowners and homeowners how to use natural resources wisely and protect the environment with educational programs in water quality, timber management, composting, lawn waste management, and recycling. Family and Consumer Sciences—helps families become resilient and healthy by teaching nutrition, food preparation skills, positive child care, family communication, financial management, and health care strategies. Community and Economic Development—helps local governments investigate and create viable options for economic and community development, such as improved job creation and retention, small and medium-sized business development, effective and coordinated emergency response, solid waste disposal, tourism development, workforce education, and land use planning.